Our ninety degree temperatures have me wishing for fall weather. Guess that is why I was thinking fall when I made this card for Teddy Stampers' sketch challenge and Just for Fun's Challenge. I forget where I purchased this cute bear playing in the leaves last spring but have been waiting til fall to use. I started with a base card of off white and a mat of olive green . I dry embossed a strip of yellow cs and wrapped with red and green twine. After stamping my bear, I colored the image with Copics colors red, olive,yellow and brown and matted him on a circle of red. Sponged color on for grass and sky. Stamped some leaves on yellow cs and cut out as embellies. Finished with some paper piercing and a sentiment in red. Stamps: Great Impressions "Bear In Leaves"
I just received my order of new bear stamps from Lili of the Valley. Cannot wait to use....they are so cute. Thanks for stopping by. 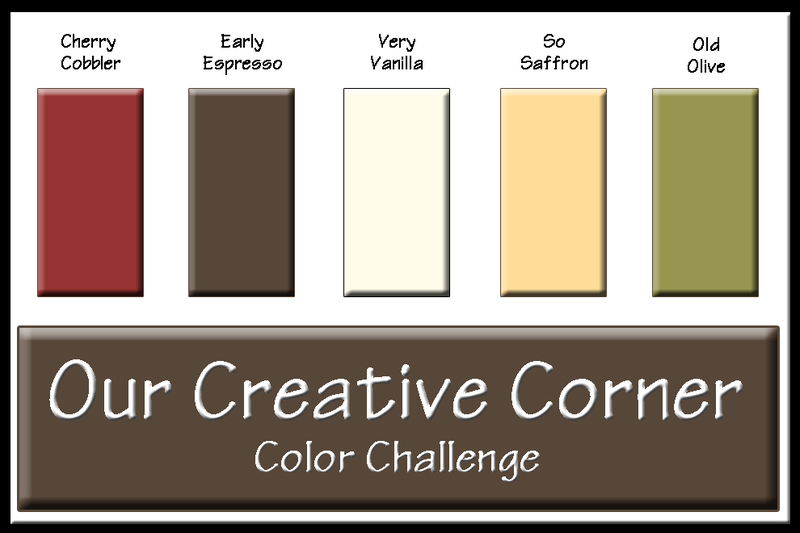 Note: It looks as Just For Fun has cancelled their Color Challenge #26 if you use my link to go there. 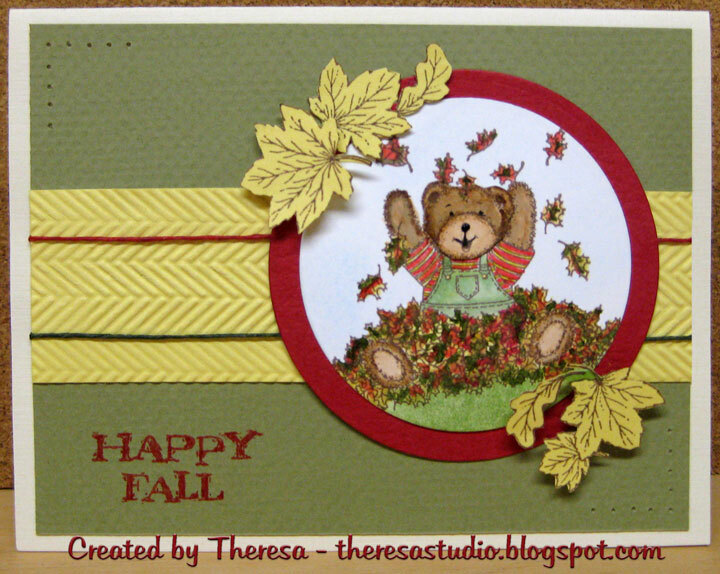 a lovely teddy card in autumnal shades! thanks for joining us at Just Cute Bears and at Teddy Stampers too. Hey there, what a great card...loving your leaves, beautiful job! 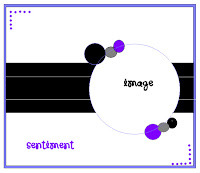 This is a cute stamp...thanks so much for the congrats on Isabella's, sorry about that...I think I see your name winning a lot of stuff too, lol. Some days I think you should play the lottery. I am so going to miss that challenge. I am ready for cooler weather...don't do hot so well. I am going to check out Our Creative Corner, never seen that before. Thanks for the heads up. Thanks for joining us at Just Cute Bears! You have the cutest little bear stamps! This is beary,beary cute! Gorgeous card and such a sweet bear!